Great interview with Margaret Molloy @MargaretMolloy the Global CMO of Siegel+Gale @SiegelGale. 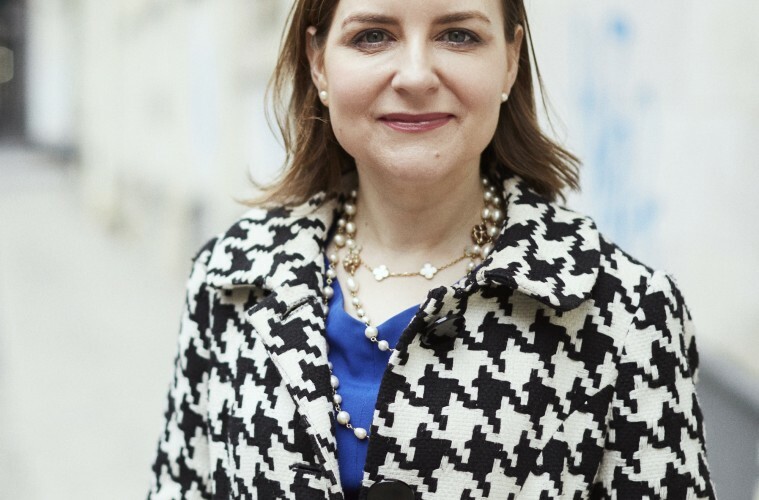 She is a top 5 CMO on Twitter, an Irish woman in NYC, attended Harvard Business School @HarvardHBS. Passionate about Branding, Marketing, B2B, Tech, Simplicity, Fashion, and Omnicom @Omnicom. Siegle and Gale are a global strategic branding firm specialising in strategy, customer experience, design and naming. Tell us a little about what Siegel+Gale do? We are a global strategic branding firm specialising in strategy, customer experience, design and naming. We are the simplicity company. We’ve been in business for over forty years helping companies to develop their brands. We’re often asked ‘what is a brand?’ It is a promise backed up by an experience. We believe it is important for companies to understand that the concept of ‘brand’ is evolving from words to experience. Siegel+Gale spend time defining what the experience offered by our client is. This then informs the story they tell about their corporate identity, their messaging, and their heritage. We are a simplification company, from our earliest days to the present this is how we have helped our clients. If you want the consumer to comply with laws, rules and regulation, then make it as easy as possible for them to do so. If you use design effectively this can be achieved. An early example of this strategy was when Siegel+Gale redesigned the IRS (US tax) forms to make them simpler for people to fill in, which naturally helped improved the completion rate, and the amount of revenue gathered. We are very focused on this, simplicity happens at intersection of clarity and surprise. We follow a fact based approach, with a heavy focus on research. We send out our survey, to 12,00 people to evaluate companies. We account for the fact that some industries are more or less simple than others. We then create a ranking based on these detailed responses, including the quality of the brand’s communications. With the insights gained from this, we then advise and carry out actions based on what is needed for a company to improve their global brand simplicity rating. Aldi for example, did very well in the index, whereas Ryanair very badly. How the customer perceives the brand to treat them is very important, especially if they feel that they have been promised one thing and experienced another. Aldi offer a clear promise, to provide quality food at affordable prices, and deliver on this promise. Ryanair however, while being marketed as a low cost airline, have many hidden costs, which consumers perceive as behaving deceptively. Do all companies buy into the value of simplicity for their business? Many do, Amazon for example believe deeply in the concept of simplicity, the one click shopping experience. This is a desired state of affairs for them, whereas Ryanair don’t see the value of this compared to revenues, customer service or other values. We believe that savvy brands see value of simplification. What future trends are you excited about at Siegel+Gale? We are excited by the simplicity movement, and those that are willing to pay more for simpler experiences. These companies will do better than those that don’t do. At a sectoral level, we love the designs of Apple, Amazon’s oneclick experience. We also feel that such an experience in one area of your life then sets the expectation for that level of hassle free experiences in other areas of our lives too. We’re also seeing a lot of disruptors shaking up existing industries. The disruption they bring works well with simplicity. Often they succeed because they remove friction from an existing process. Uber and Airb’n’b provide good examples of a counter points to traditional businesses. Identifying a blockage in the system and offering a more seamless experience for the user. We feel this illustrates the value of simplicity in achieving a business advantage over your competitors. Storytelling for brands. What are the challenges in a crowded market? Can we have too many stories? It is import to make sure the story you tell doesn’t box you into a category. Amazon for example did not limit themselves to just being a great place to buy books. This gave them the scope to grow into other markets too. If Uber was just offering rides, it would be harder for to become a message delivery system, or some of the many other sectors it is considering moving into. It is important to tell a brand story, but also ensure that it is one that allows the space for your brand to grow. As your company grows, new employees need a new brand story. Zappos for example is a company that had an internal story to tell initially. This was targeted at the investor community, and for their growth strategy. Subsequently though it is also important to talk to employees and customers, and have story that they can buy into too. This means you must recognise that your story may change as your company grows and evolves, you may need to evolve your purpose. Facebook for another example, had to move beyond just college pictures for students. Sometimes your companies growth can outgrow the story you have. For this reason you need to help clients to identify the right stories. Help them research what their story should be, and then to articulate it in a clear and fresh way. How much time does it take to stay on top of your social media digital footprint? Where else are you active as well as twitter? My role is marketing and business development, so my job is to evangelise the value of story. It is a key part of my role to tell share the insights of S+G. To build the brand. If I were not active in doing this it would be a shame. Also people follow people on twitter, so it is important to show your human side. It brings some dimension and texture to the message I am trying to convey, and makes it more believable. Communicating through social media humanises us. We’re in business of professional services, but it’s important to do this with some perspective. What about people that don’t so the value of social media? We don’t provide social media advice to our clients, but I do get asked this all the time, about the value of social media. People say ‘I have nothing to say that’s interesting, and what about the trolls etc?’. My response is, that, as an executive, it’s your job to use the channels available to you to communicate as effectively as possible. For me I should be on twitter as it is important for me to communicate. Twitter also enables you to amplify your reach to a wider range of people. Twitter is also great as a tool to listen, and see what my clients are saying on twitter. It’s a really powerful listening tool. Executives used to walk the shopfloor, twitter allows you to do this on a larger scale. What is your life / work, online / offline strategy? At Siegel+Gale the key values we look for in people are to be; smart, nice, and unstoppable. When we find people with these values we know it will be a good fit and therefore they will be able to achieve a successful integration of life and work. I’m also an Irish immigrant in the US, in this context I think we have no sense of entitlement here. You get what you work for, which helps you not obsses about balance. If you’re grounded, then balance then is the natural state for you, and with that you will achieve the right equilibrium. Branding is having a moment, becoming aware of building a brand, for both established customers and startups, neglect it at your peril. In many ways we have come full circle here too. For both for the company and personally, it is important to communicate simply what your experience is when you interact with other people, what the story is that you’re trying to tell. Tools like twitter help you to scale the experience to a wider audience, what is my audience, what is my story, is it consistent ..? The same principles apply for brands and for people. In speaking to you, in the lectures I give, my goal is to be present and consistent in all of these encounters. In many ways this is the same whether we are communicating as an individual or as a brand.